LOOKING FOR YOUR DREAM HOME? THIS REALLY COULD BE THE ONE, BUILT JUST OVER 10 YEARS AGO THIS PROPERTY BOASTS SO MANY UNIQUE FEATURES AND REALLY IS A ONE OFF! We have great pleasure in bringing to the market this individually/ uniquely designed property, from the moment you arrive outside it is clear to see this is a one off. Walking through the front door into the turret you are presented with a galleried landing, large entrance hallway and vaulted ceiling with display lighting, walking through the ground floor there are two reception rooms to the front, either could be used as additional bedrooms/ games or family rooms, the lounge with patio doors to rear and a feature fireplace with log burner, bathroom with jacuzzi bath, large kitchen with island, utility room and a conservatory/ orangery with under floor heating. To the first floor there are five good size bedrooms, the master bedroom has an en suite bathroom, balcony and dressing room, bedroom two has an en suite shower room. Throughout the property the Bang Olufsen music systems feeds music into most of the rooms, there is an alarm and CCTV security system. Externally, there is a large rear garden with summer house and two storage sheds, lawn area surrounded by various tress and shrubs providing borders, large patio area and access to either side. The front garden comprises of large block paved driveway for as many as 8 vehicles and access into the integral garage. This property really is a one off, uniquely designed and would make the ideal family home. 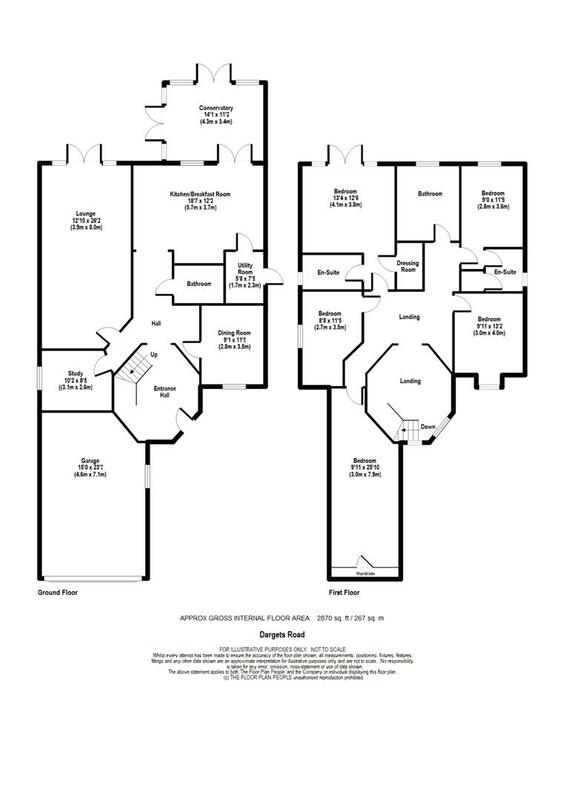 In order to appreciate everything this house has to offer we really must recommend an internal viewing!